Silver Bullet Mist is the perfect product for those who do not want to leave sterilisation and cleanliness to chance in their grow room. 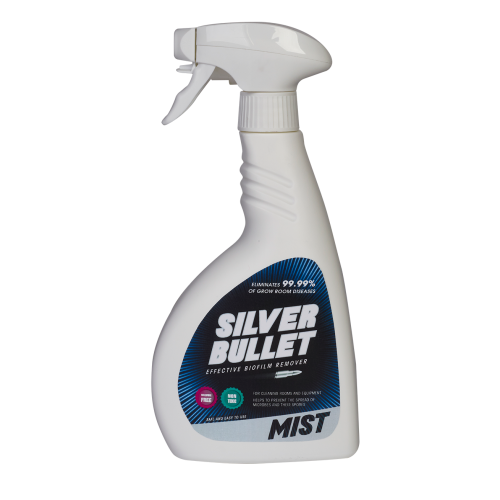 Silver Bullet Mist destroys 99.99% of grow room problems, such as grey mould (botrytis), powdery mildew, Pythium, Fusarium, Yellow and Brown leaf spot. 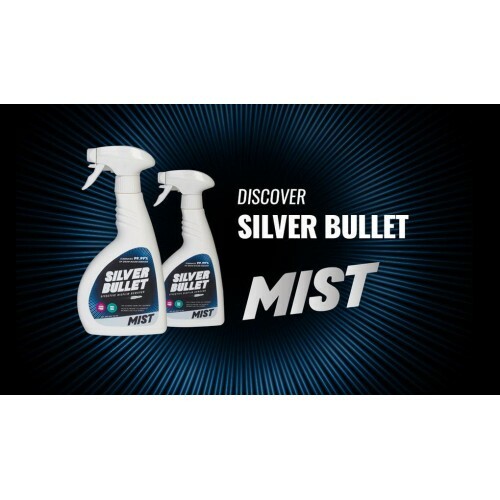 Silver Bullet Mist comes ready to use to sterilise grow room surfaces and equipment, and it is completely safe to plans, but do not spray directly onto young and unestablished plants. Silver Bullet Mist can be used to disinfect and sterilise any grow room surface, including system, componentry, grow tents and growing surfaces.